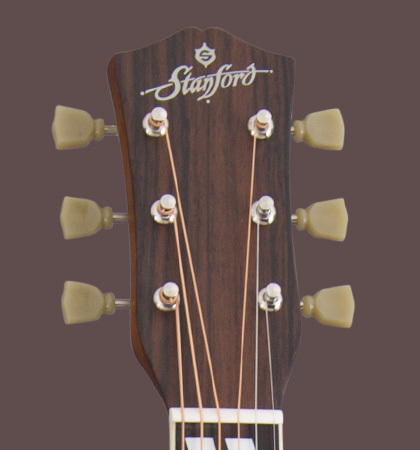 The Stanford D-Bird Natural Finish is a vintage dreadnought western guitar with a solid Canadian Sitka spruce top. 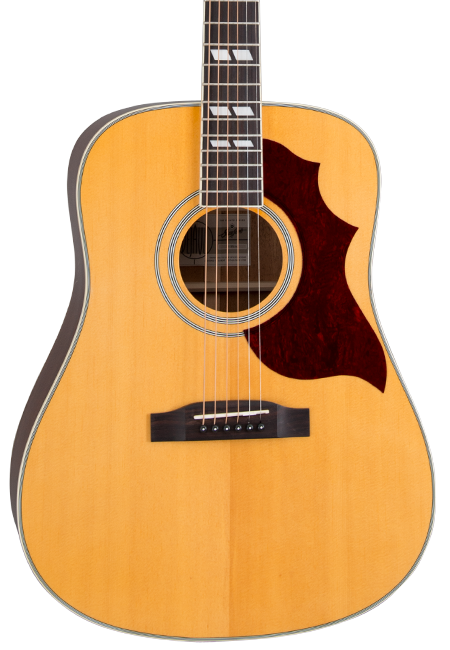 Like all guitars from the Deja Vu series, this one is based on a historic guitar model and convinces with a real vintage guitar sound. 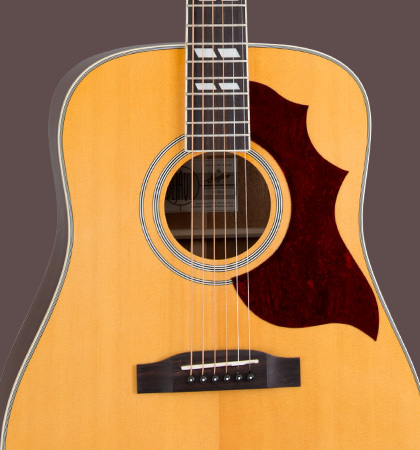 The back of the D-Bird is also solid and made of African mahogany. 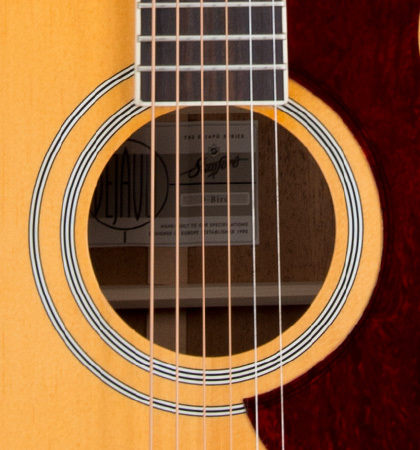 Only the sides are made from laminated mahogany, just like the models were made in the 60s. “be real, or be better!